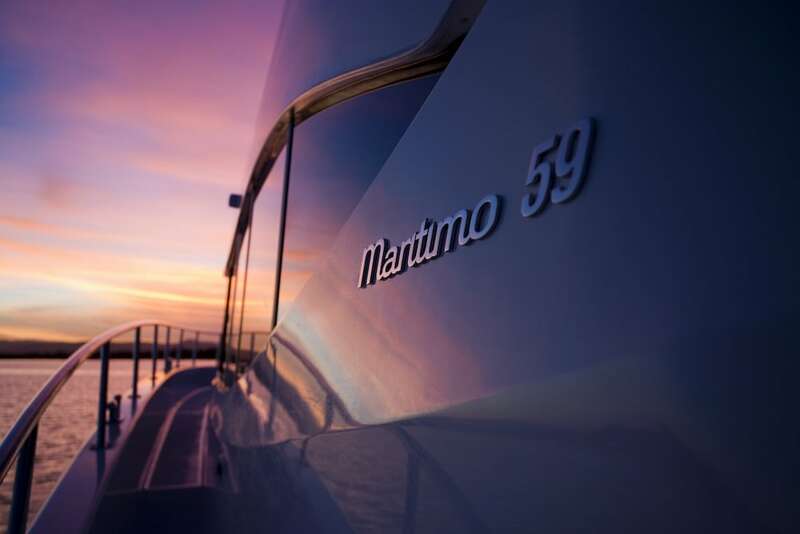 Refinement is at the heart of every Maritimo and the M59 is no exception. 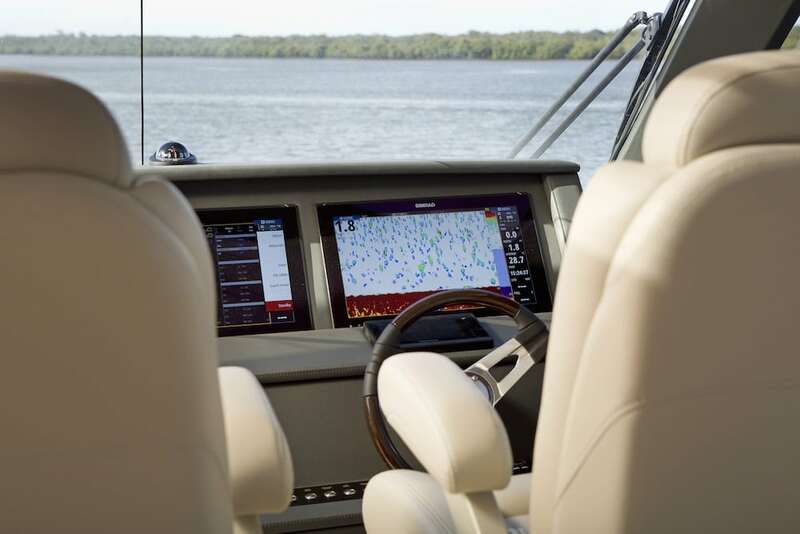 It’s interior gives a sense of calm, indulgent and luxurious comfort while the exterior sports a dynamic profile with a powerful and athletic stance. 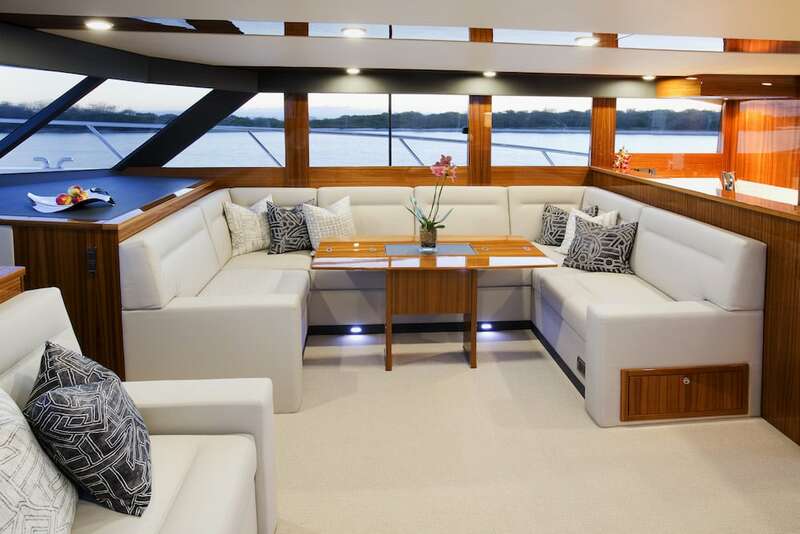 Step aboard where a calm sanctuary awaits, created through elegant simplicity and luxurious finishes. 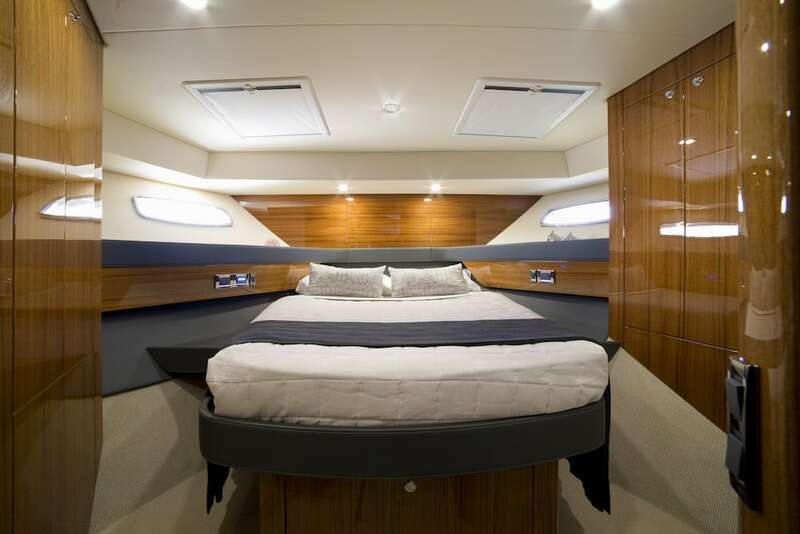 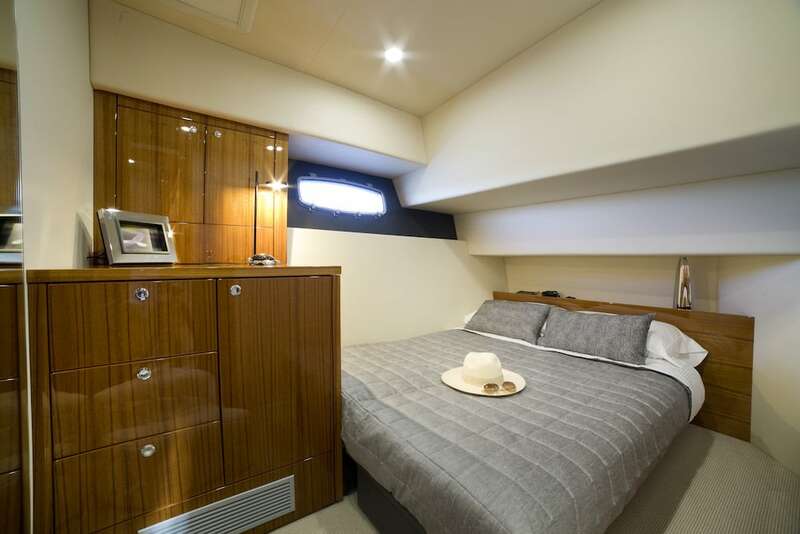 The three beautifully crafted cabins comfortably sleep six and include the full beam master stateroom and a third cabin with side by side single beds that can be converted to a double. 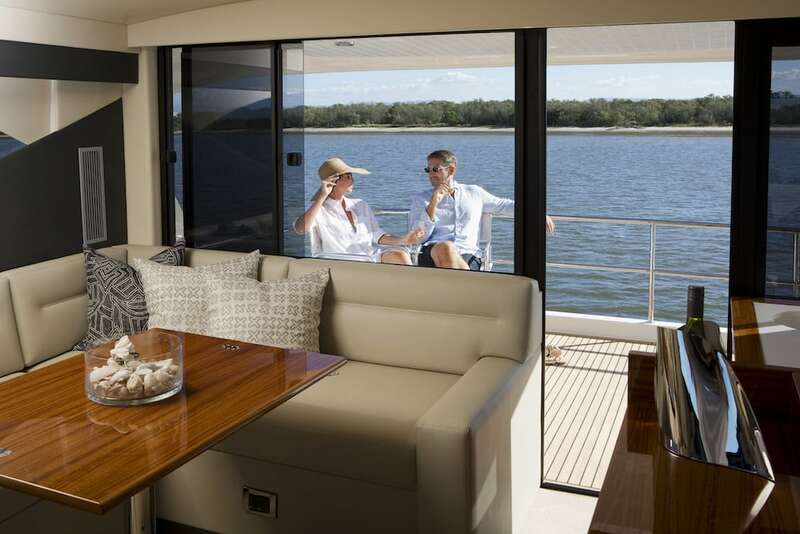 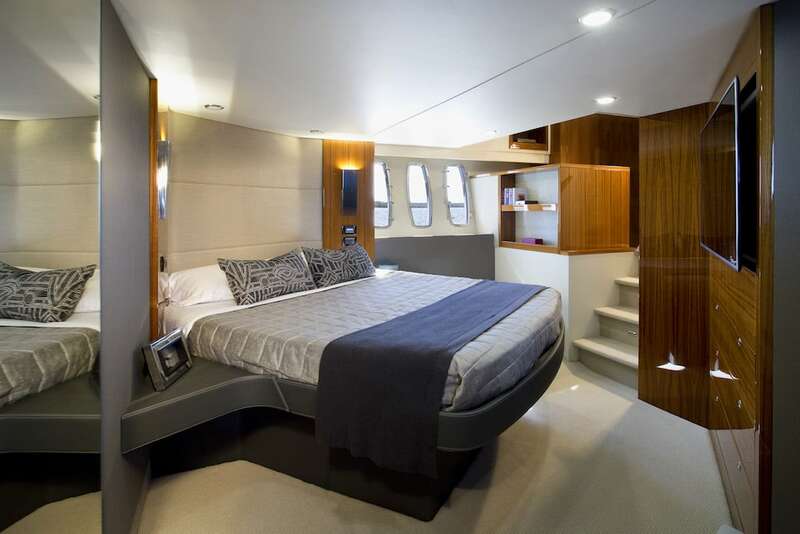 The versatility and clever use of space is highlighted with the addition of an optional fold out bed on the flybridge bringing the total guest accommodation to eight. 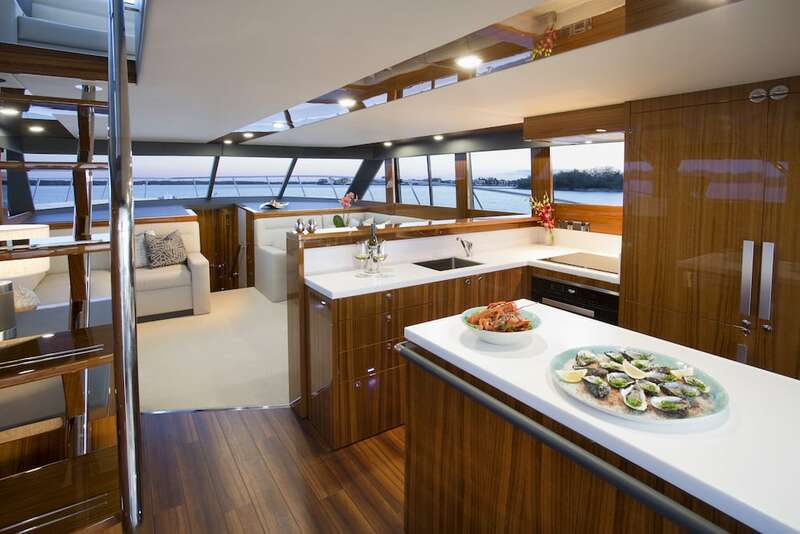 Together with a beautifully appointed aft galley equipped with Miele appliances and large pantry, you’ll want for nothing when entertaining or during long stays abroad. 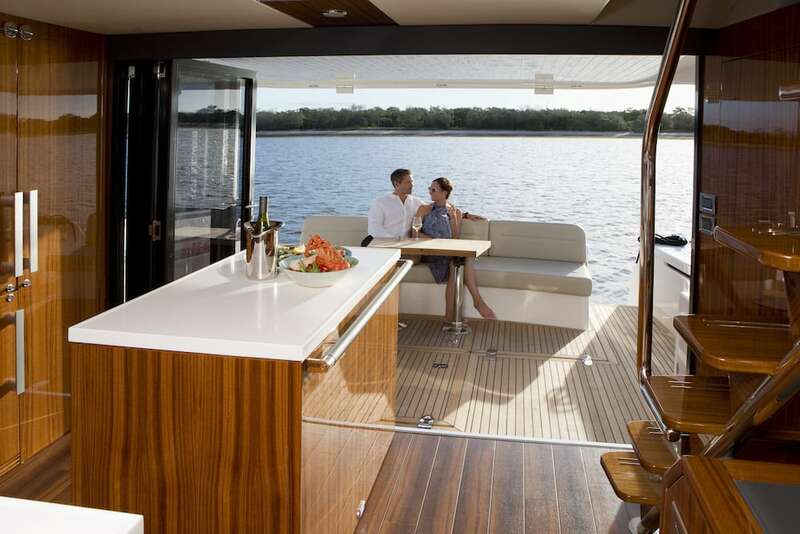 Outside enjoy a large storage space at the back of the boat which is perfect for a tender and all the water toys you could want. 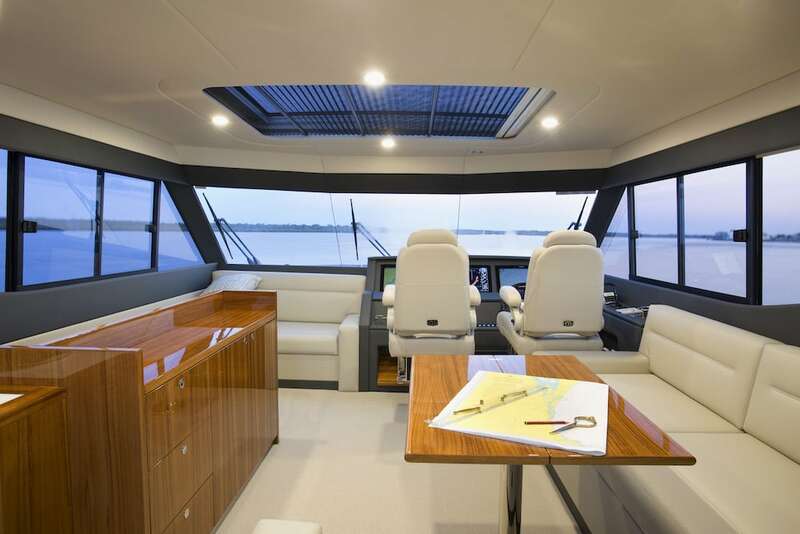 The cockpit is accessed from both sides with openings to the hydraulic swim platform and because of the large beam the space is substantial. 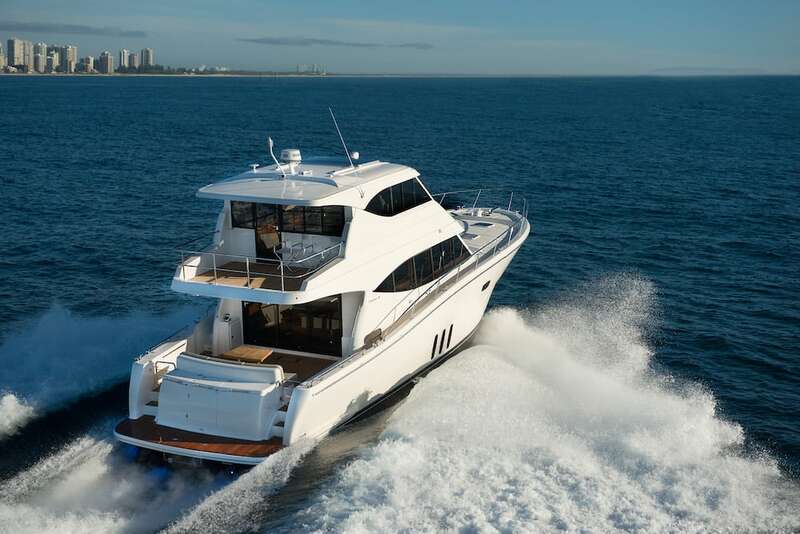 Encompassing all its Maritimo lineage is known for, you will enjoy wide walk around decks, an internal staircase to fully enclosed flybridge, extended aft balcony and sun roof. 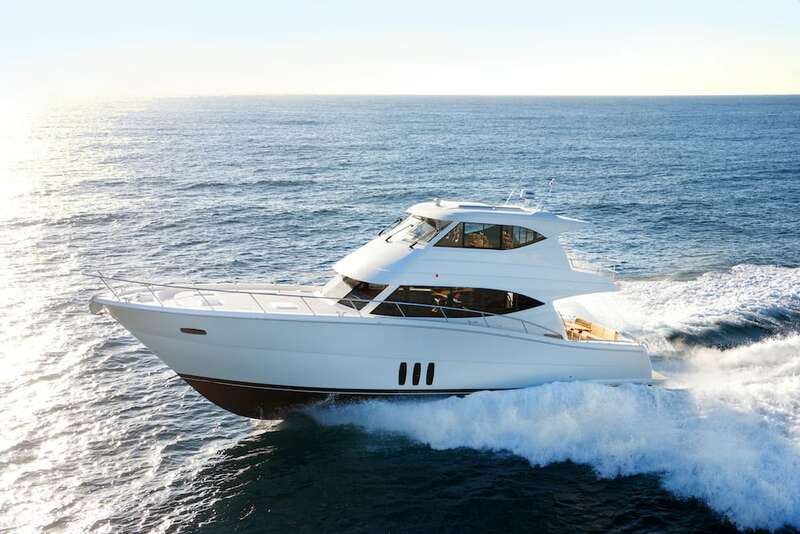 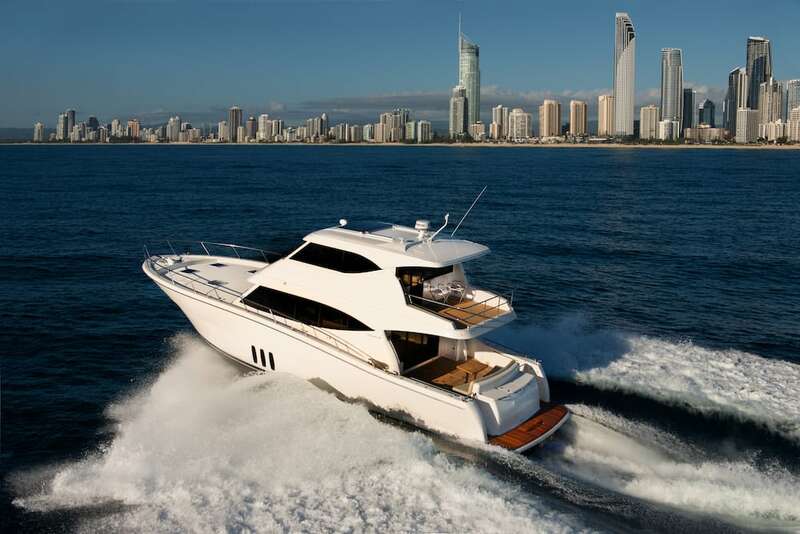 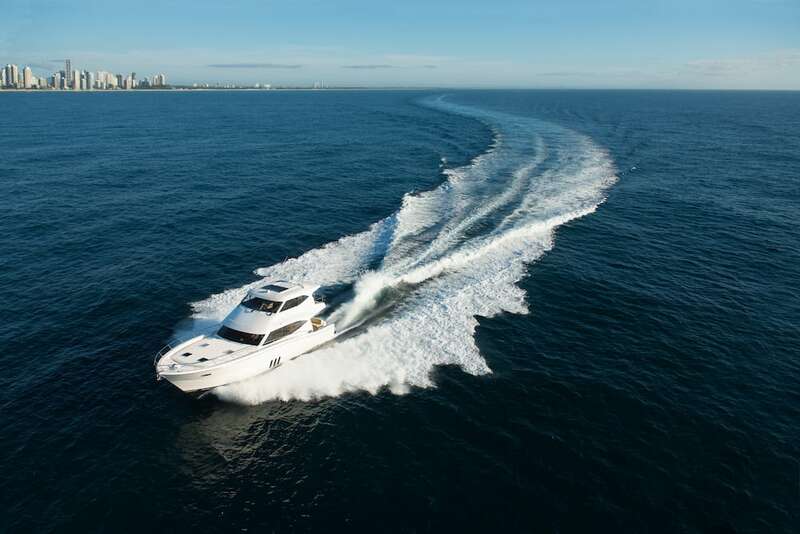 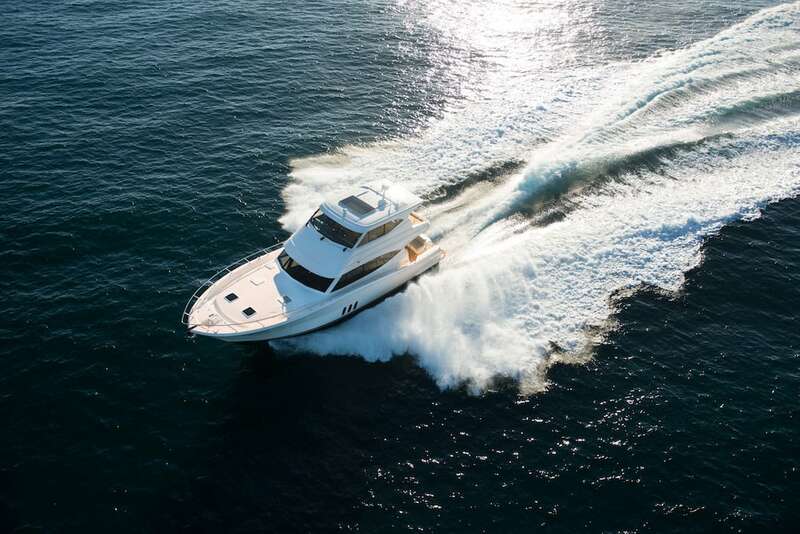 Coupled with Maritimo’s inherent strength and offshore capabilities, the Maritimo M59 will intuitively cut through the water in perfect motion. 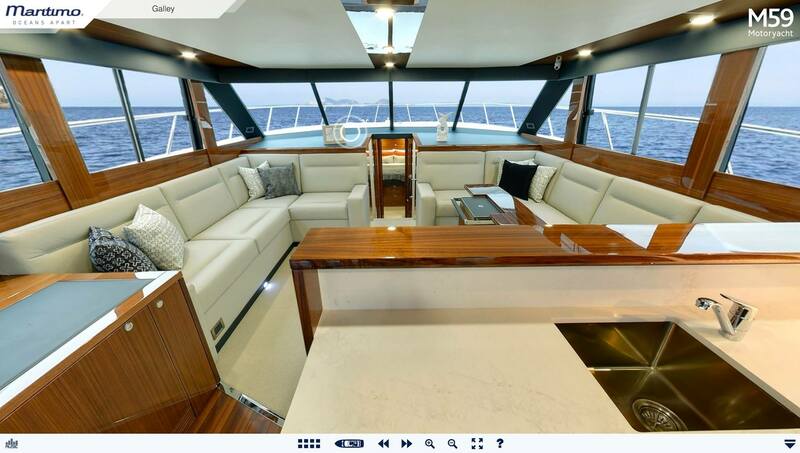 The share price and annual management fee are available on request . 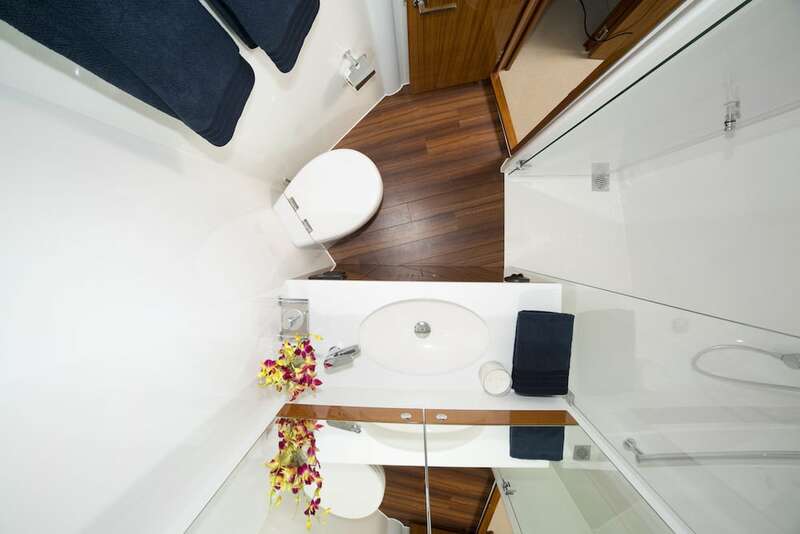 A share entitles you to three months use per annum, plus unlimited standby usage. 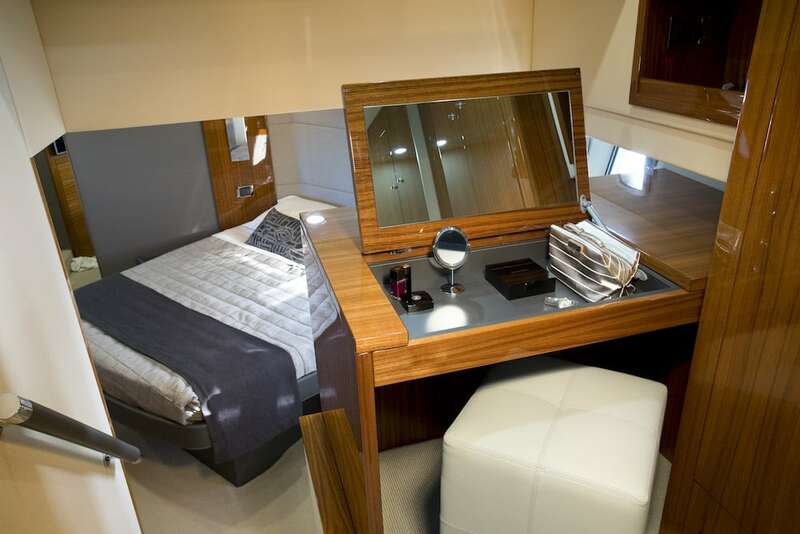 Bookings are made through our online booking system. 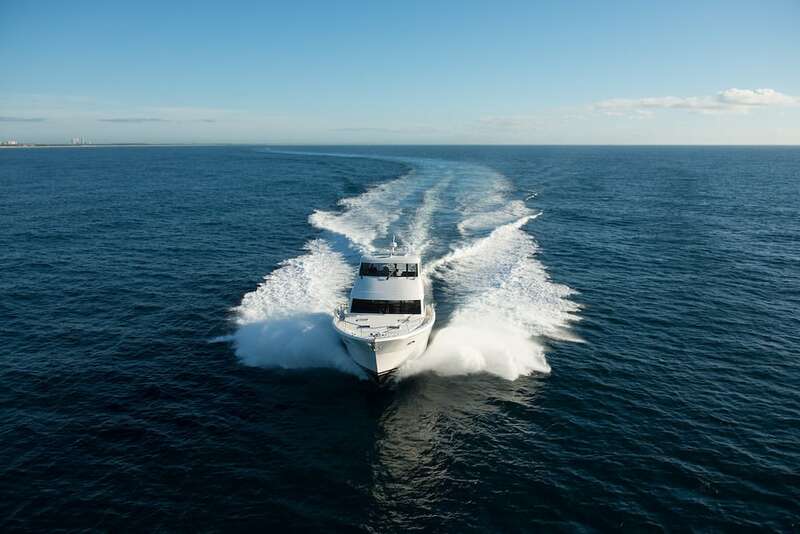 All our boat shares are walk on / walk off.